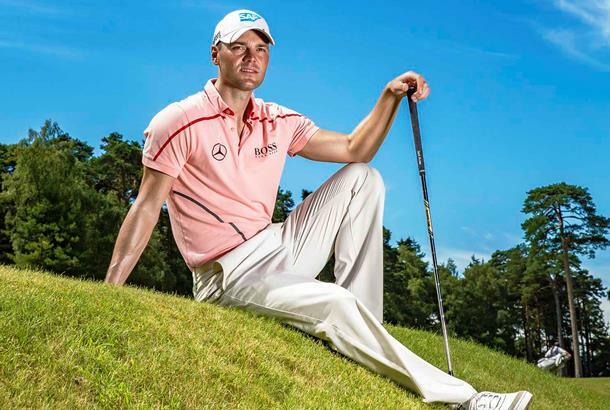 Martin Kaymer loves everything about the Ryder Cup. Always has and probably always will. He’s played in three and been on the winning side every time, most dramatically of course at Medinah two years ago, when he keep his nerves in check to sink the winning 5ft putt on the 18th green. The Ryder Cup means so much to him and he would give anything to get the chance to become Europe’s hero again. The secrets of Europe’s recent success? We just enjoy one another’s company, have fun in the team room and that helps us to deliver and achieve our aims on the course. So far Darren Clarke is doing a very good job. He’s very relaxed, very experienced and I think he will prepare the team well, especially playing in America which is obviously a bit more difficult. I think he’s the right person to ensure the team is ready for the challenge ahead. A lot of the Americans are playing really well, but at the end of the day you need to be a proper team. It’s not about individuals. You see that a lot in football as well – lots of good individuals who struggle to perform in the team format. You need to find a balance between playing your own game, but also adjusting to the team atmosphere. I think that the Europeans have done that very well in the past. Holing the winning putt in 2012 at Medinah was the highlight of my career – it doesn’t get better than that. At that precise moment, I wasn’t thinking about much – you just focus on what you’ve got to do. I saw it as a big gift, a big possibility to make something massive happen in my career... and it’s very rare you get a chance like that. There’s so much pressure for the whole week and all of a sudden I had the chance within a minute to make two years’ work end in a positive manner. Obviously, there was a massive amount of pressure but, for me, it was the biggest relief of my career when that putt dropped. I didn’t have a good season in 2012, but that really turned it round. The Ryder Cup is very dramatic, but you should never forget that we just play golf. Yes, there’s a lot of pressure involved, but you should enjoy what you do and play for the pride and honour. Sometimes things have got out of control to the point of being unfair, and if that happens the people responsible should be given a little reminder. I’ll never forget my Ryder Cup debut at Celtic Manor in 2010. I was so proud that I had finally made it, representing Europe and potentially achieving something great. This was something I dreamt of doing when I was a kid and all of a sudden I was standing there alongside Lee Westwood and trying to get a point for the team. It was a beautiful feeling. It’s probably 50/50 regarding the team with players with Ryder Cup experience and rookies. But we’re all good enough and if there are some rookies who need help, I’m sure the older players will stand up to the plate. In match play, first and foremost you’ve got to be a really good competitor. You’ve got to fight and even if you lose a hole, it’s fine. You need to drag your opponent as far as possible – to say, 17 or 18. You’ve got to keep grinding and maybe you’ll get a chance or two coming down the stretch. Basically, what Ian Poulter did at Medinah on Saturday afternoon. ● Defining Ryder Cup momet: Secured the 2012 ‘Miracle of Medinah’ by holing a 5ft putt on the last to defeat Steve Stricker. ● His T7 finish at this year’s PGA Championship put his name right in the frame for a wild-card pick.